A lot of business owners are professionals when it come to worrying. A lot of business owners are professionals when it come to worrying. This is because of the drive for success which means that they have to reduce their failure rate. As business owner, you will be under pressure on most days. The task of running a hitch free business will always put you on your toes. Sometimes, you may have to fill in for an employee that is not meeting up in one way or the other. All these responsibilities are quite demanding. One of the ways by which you can balance things out is by creating time for social activities. You can let out the anxiety you had at work by hanging out with your friends. The thought of a well-planned fun time later in the day will make business time seem less stressful. You can also encourage social activities among your employees. Encourage them to celebrate special occasions such as birthdays and business achievements. All members of your staff should celebrate promotions in the workplace. You should also create time to be a part of the social activities among your employees. This will make your employees to relax, and also improve their productivity. Whenever there are positive results in the business, the anxiety you feel will reduce. You need to have a daily schedule that will guide you through the business hours. One of the reasons why anxiety will prevail is when you try to work on the right task at the wrong time and vice versa. 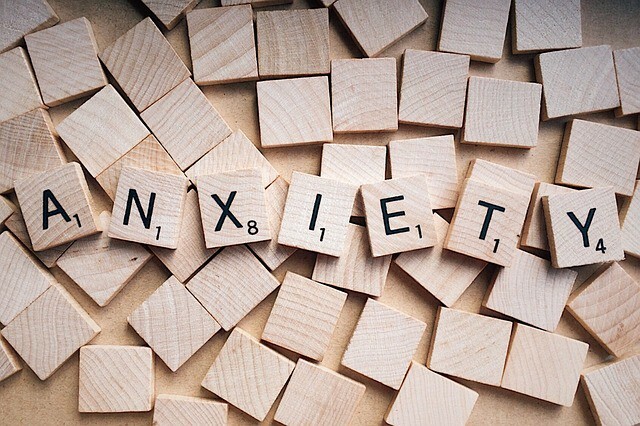 A common cause of anxiety is dealing with employee issues during productive time. You need to know the most important things on a daily basis and do them first. Prioritizing tasks based on their relative importance will help you to keep a clear head. You will also be able to achieve more within a short period. Setting priorities will enable your employees see you as an effective business owner. Such employees will be ready to allow you to take the lead role since they know that you are well equipped for it. There will be a time in your business that you will have to do it all. This is usually at the start-up phase for most business owners. You can avoid anxiety if you know when to allow other people to handle some parts of your business. You should know that business growth will lead to expansion. Part of the expansion process is to bring in competent people to handle some parts of your business. The first step for expansion is to hire competent human resource personnel. This does not mean that you cannot handle the employment process yourself. Employing an experienced human resource person will lead to hiring other competent staffs. Running a business requires money. You need to handle your inventory, sales and revenue with much respect. People will not mind buying your products or using your services without paying. This is because they don’t understand revenue inflow cycle. No matter how much you try to be liberal, you must always remember that your sales figure must be higher. When a business does not experience quick turnover, the business will fail in the long run. To avoid anxiety due to impending shutdown, you should manage selling on credit. You’re running a business not credit scheme. Sometimes, agreeing to credit purchases will improve your revenue. But you must know when to stop it or limit the group of individuals that can benefit through such system. You may not be able to separate anxiety from your business but you can avoid it as much as possible. As a business owner, you don’t have to run away from the issues that are giving you sleepless nights. The best way to deal with them is to address each situation. Outline everything about your business that challenges you and proper solution to them. Over a period of time, you would realize that you are rarely in a situation where anxiety is able to dominate you. This means that you will always be in control of your emotions when handling your business.